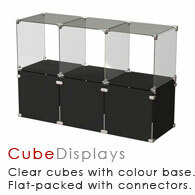 A range of clear cube displays of various configurations. 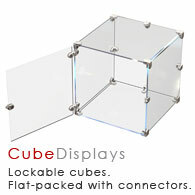 Ideal for displaying light to medium weight products. 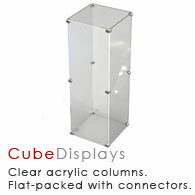 Suitable as window displays or table-top units. 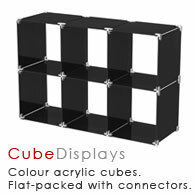 Choose from this selection of ready-made configurations. 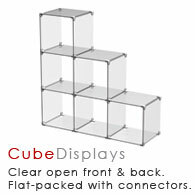 If you don't see the configuration you require, please contact us with your request. 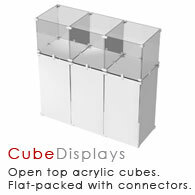 Browse these categories under "Flat-Pack Acrylic Cube Displays"